Bob Weldon passed away unexpectedly on January 16, 2010. ​Bob founded CCHVA in 1991 and served as President for nine years. Robert Stanley Weldon, 80, passed away January 16, 2010 in a tragic car accident. Born January 14, 1930, Santa Ana, CA and at the age of 3 months moved to Santa Maria, where he remained all his life. Bob was active in scouting and was elected to the Order of the Arrow in 1946. He also became the seventh Eagle Scout that year. Later in 1953, he became Scout Master for Kiwanis Troop 72. After graduating from Santa Maria High in 1948, he joined the Army and served 2 years. Returning home, he was employed by General Telephone and retired after 38 years. In 1957, he had a local TV show on KSBY at which time he sang and interviewed guests from this area. 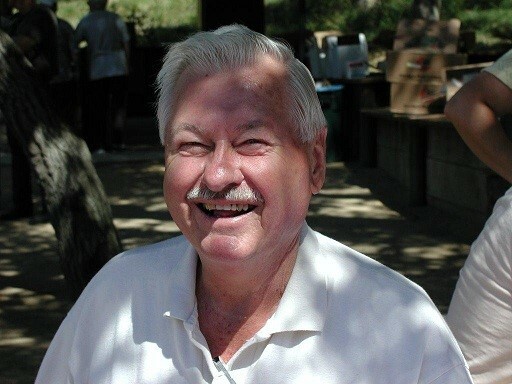 Bob was a member of the 20-30 Club, Kiwanis Club, American Legion, and the Elks where he was active for 49 years – working on the Rodeo and BBQ team. In 1991, Bob formed a home winemakers club, which became known as the Central Home Vintners’ Association, serving as President for nine years. He attended UC Davis winemaking classes to perfect his knowledge in his favorite hobby. He won numerous awards locally, as well as National and International Competitions. Bob was the father of four sons and a daughter: two of the sons are deceased. Still living are Jeffrey Weldon, Steven Weldon, and Karen Rousch. He has seven grandchildren and five great-grandchildren. In September of 2002, Bob married Elaine Crier. They enjoyed traveling to various countries and visiting friends and relatives throughout the United States.